Like many technology companies, Apple offers training and certification programs. The company’s certification options have typically been aimed at three different core competencies: hardware troubleshooting/repair, IT support and systems administration, and creative professionals using Apple’s “Pro” applications. As Apple has moved out of the data center over the past year and a half, it has been making major changes to its training and certification options for IT professionals. Some of these changes could have been anticipated and some have been big surprises with major consequences to individuals and to organizations that have long employed Apple enterprise solutions. 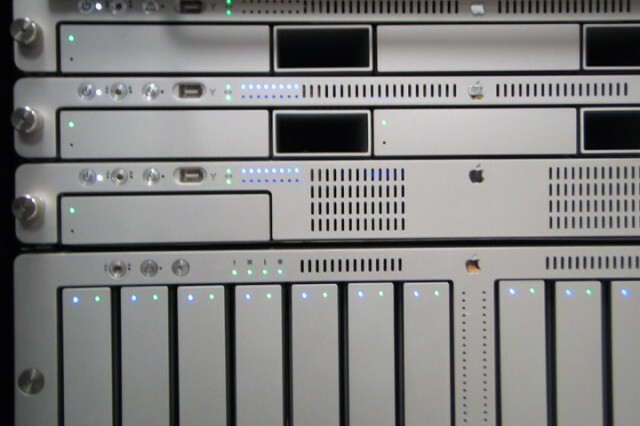 A big focus in the various classes and training materials like Peachpit’s Apple Training Series and to the certifications themselves was the use of OS X Server as an enterprise network solution – either on its own or in combination with other platforms like Windows Server and Active Directory as well as Unix/Linux servers and distributions. This was particularly true of the Apple Certified Systems Administrator program that provided extensive training in almost every area of OS X Server and Mac integration with Active Directory. Apple had, in fact, expanded the depth of training and certifications for OS X Server pretty consistently through the years. With the release of Lion and Lion Server, however, the company abruptly scaled back that advanced training. The Apple Certified Systems Administrator certification, and the associated classes and exams, hasn’t been updated for Lion and it appears that Apple has essentially canceled it (though Apple’s Training site note’s that the Snow Leopard edition of all exams will be available through the end of May). The move seems to a be clear indication that Apple is deprecating OS X Server in anything other than the small business market. That shouldn’t be too surprising considering Apple cancelled the Xserve enterprise server hardware over a year ago. Lion Server itself seems to be stuck mid-transition between the advanced and quite capable enterprise solution that OS X Server was in earlier releases and the basic small business server that Apple appears to be shifting towards – many enterprise features are there but accessing them requires using the command line or a separate download of advanced admin tools. The advanced admin tools, once downloaded, seem gutted compared to their former capabilities. Managing some features requires moving between the simplified Server app, the advanced tools, and the command line in ways that are confusing and not intuitive. As if to underscore Apple’s move out of the data center, the company has created a new certification called Apple Certified Associate – Mac Integration 10.7. Unlike the other certification exams, this one includes no class and users can download a background guide that seems part teaching tool and part white paper. Users can take the related exam online – another change because all other current and previous exams in the IT track were provided only through brick and mortar testing centers like the various CompTIA, Microsoft, and Cisco certification exams. This evolution seems in line with Apple’s current thinking about its enterprise customers – that the company will make products with enterprise integration points but not supply backend enterprise solutions. That is a sensible strategy in many ways – Apple’s enterprise offerings never really gained much traction outside of certain niches like education, design, and media. While a “we’ll let others handle that” attitude may be good for Apple, this turn around poses serious challenges that Mac technology consultants and Mac-oriented IT professionals as well as businesses that had employed the Xserve and other Apple enterprise technologies. One challenge is that individuals who focused much of the jobs and careers on these technologies are likely face the need to retrain in related but different specialities like Windows Server and Active Directory, mobile device and information management, or mobile development. Another is that businesses that use OS X Server (and possibly the Xserve) need to develop a migration strategy to alternate systems. Lion Server is a release that can still offer much of Snow Leopard Server’s functionality (and it Mountain Lion Server may as well), but the writing seems to be on the wall that new solutions will be needed eventually. One silver lining is that there appears to be enough time to really consider the options and plan an orderly transition. A challenge related to both of these is deciding what alternatives are the best options. One nice feature about Apple offering an end-to-end collection of products is that it served as one-stop shopping for both solutions and training. With several alternate commercial and open source options for Mac management and support as well as a broad field of solutions in the mobile management space, there are a lot of excellent choices, but narrowing down the most effective for a given business can be a difficult process. The same is true of Mac-oriented technology professionals – there are a lot of IT areas experiencing growth right now, but choosing one that allows transfer of existing skill sets and offers future prospects may not be easy. Ultimately, the change in strategy has been good for Apple and one can argue it was truly necessary. On the other hand, Apple’s tight-lipped nature means that many people and businesses weren’t entirely prepared for these eventualities. While it may not be time for those people and organizations to panic, it does mean it is definitely time to start looking at the field of prospects.